Tell us about your game! Sudoku In Space launches the classic paper-and-pencil game into orbit with its sleek design and stellar graphics and sounds. Its colors-only mode is a brilliant alternative to the traditional sudoku with numbers, providing an entertaining twist to both novice and experienced players. How is Sudoku in Space different from other Sudoku games? When you look at other sudoku apps, they're either very plain and boring-looking or they look messy and cluttered. Sudoku In Space on the other hand has a unique, sleek, and cohesive design that immerses players in the space theme. Instead of grid lines that appear to be on paper, Sudoku In Space has colorful orbs that appear to be controlled from the cockpit of a spaceship. Sudoku In Space has a step-by-step tutorial led by our mascot, Allen the Alien, and there's a beginner level with 4×4 puzzles. The default setting in Sudoku In Space is to play with colors only because we want people to think outside of the typical sudoku box and experience something different (there is an option to play with numbers). There are hundreds of puzzles and four difficulty levels to provide hours of fun for players of any skill level. What went into the design and UI? First we decided on the space theme because we personally love all things space-related. And naturally we had to put players in a spaceship because how else would you survive in space? We knew from the beginning that we wanted a color sudoku and move away from the traditional sudoku squares, so we came up with the color orbs. We designed our mascot, Allen the Alien, because we wanted to give a face to our game. We'd learned through research that gamers respond better to games that have characters. When it came time to design the app icon, we wanted to have Allen present the color orbs in a cool way that deviates strongly from other sudoku app icons. What tools did you use in building the app? I used App Game Kit (AGK) from The Game Creators Ltd. The AGK development forums have helped me to grow as a developer since we founded Napland Games over a year ago. What lessons did you learn during this process? I learned once again how helpful the AGK and the indie game development community is. I'd like to give a shout-out to Lee Bamber, Rick Vanner, Paul Johnston, and Steve Vink at AGK for all of their support. What went right and wrong with the release? With Sudoku In Space, we made sure we applied all the lessons we learned from making our other games, and we think it's the best first version product we've released so far. Feedback from our beta testers were overwhelmingly positive. This was the first time we released a game on all platforms on the same day, and it went well! The only glitch we've come across at this point is that the app isn't running properly on Huawei devices which we hope to resolve very soon. Who is on the team and what are your roles? 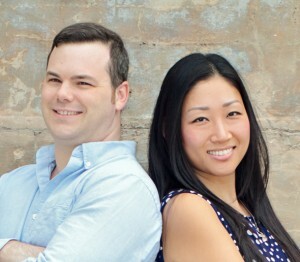 Napland Games is made up of myself, Sean Mann, and my wife, Shannon Ahn. I'm the lead developer in charge of development projects, from design to coding and everything in between. Shannon manages our marketing efforts and helps tremendously with the creative process and testing. What were you doing prior to creating Sudoku in Space? Sudoku In Space is our fourth game, so before we started building it we had been working on other games for over a year. Before we founded Napland Games, I was in the financial industry, and Shannon was a fundraiser at non-profit organizations. What other apps inspire you? I love Feedly, Pandora, and BaconReader for reddit. Shannon is in a love/hate relationship with the Facebook app, and she can't live without Netflix and YouTube. 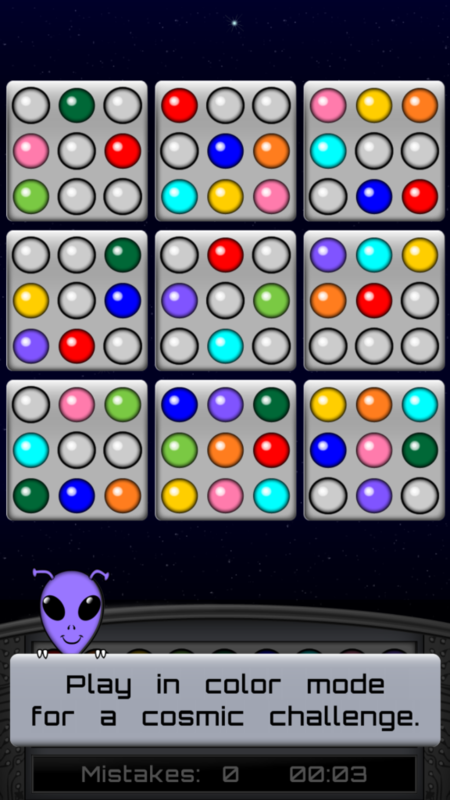 Head over to the App Store or Google Play to download Sudoku in Space! Hey app devs! Wanna be featured like our friends at Sudoku in Space? Click Here.